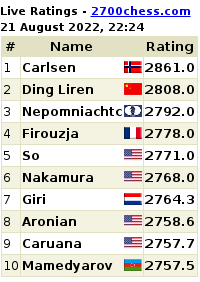 76th Tata Steel Chess 2014: Talented Indian (No. 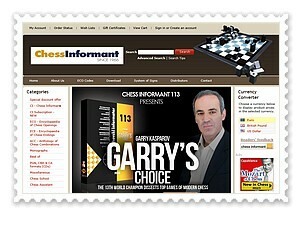 2) chess Grandmaster Pentala Harikrishna (World No. 42/Live 31) takes on World No. 2 Levon Aronian in the first round of the Tata Steel Chess Tournament 2014 on Saturday. The 76th edition of the Tata Steel Chess Tournament takes place January 11-26, 2014 in Wijk aan Zee, Netherlands. Armenian Grandmaster Levon Aronian won the Tata Steel Chess in 2012. Harikrishna himself, as a debutant in A group of the Tata Steel Chess Tournament in January 2013 Harikrishna finished in the first half (7th place) and reached an elo rating of over 2700. Watch the games live at the official website. 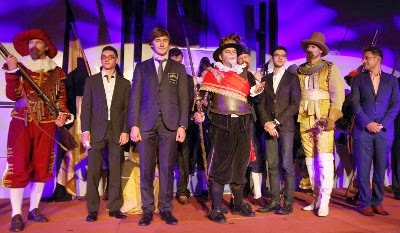 On Friday, the opening ceremony took place with an interesting theatrical presentation based on 'The Night Watch'.